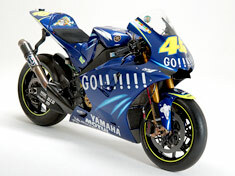 History of YZR-M1 2004-2010 - race | Yamaha Motor Co., Ltd.
Valentino Rossi talks about his YZR-M1 from 2004 to 2010. 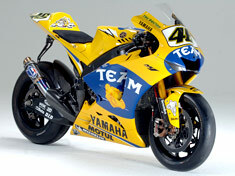 The first meeting between Valentino Rossi and the YZR-M1 occurred in 2004. It is now a famous story that the engine he chose from among the prototypes he first tested was the one he called a "sweet" engine. That was the word he used to describe the engine feeling, and it can be used to describe the relationship between Rossi and the M1 machine, as he went on to win four MotoGP championships in seven years with it. The end of the 2010 season brought an end to this love story, as Rossi moves on to a new challenge with another manufacturer next season. Before that final parting, Rossi left us a video in which he talks about the M1. There had been a number of issues with the 2003 race machine. It did however have a very good chassis and excellent handling. These strengths were carried over into the 2004 machine. The biggest development issue this year was the engine. In order to make up for the weaknesses of the in-line-4 with single-plane crankshaft, the wheelbase had been shortened on the 2003 machine. Unfortunately that led to a lot of crashes and falls due to the reduced road-hold in the front wheel. To deal with this problem, a full-scale review of the engine was undertaken. Several prototypes were prepared and the spec that Valentino chose was also the one that I consider the best. The weakness of that spec, however, was its power performance, and in dealing with that problem we focused our development efforts more on power development characteristics rather than sheer engine power output. Due to the adoption of a crossplane crankshaft on that 2004 model, it produced smoother and somewhat gentler power development characteristics that greatly improved rear wheel traction. That is the character that Valentino had initially described as "sweet." The adoption of the in-line-4 with crossplane crankshaft as the engine format for the 2004 M1 thus solved many of the problems we had with the 2003 machine. As a result, we were able to win the championship. In that sense, 2004 was a year of dramatic change for us. Adopted in-line 4-cylinder engine with short wheelbase and long rear arm combination. We were able to agree 100% with Valentino's opinion. 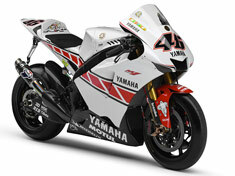 The 2005 YZR-M1 was the most competitive machine of all. In 2005, a complete review and revision of the gear drive for the camshafts improved the engine character greatly and reduced power loss. This gave the machine excellent power development and engine power output. The chassis achieved almost an ideal state. The 2003 machine had been given a short wheelbase in order to achieve sufficient traction, but the 2005 wheelbase was considerably longer. Compared to the machines of the rival manufacturers, that wheelbase was still short, however. Overall, I believe the 2005 machine had good handling agility and a high level of stability, improved power performance and power development characteristics plus optimum traction. 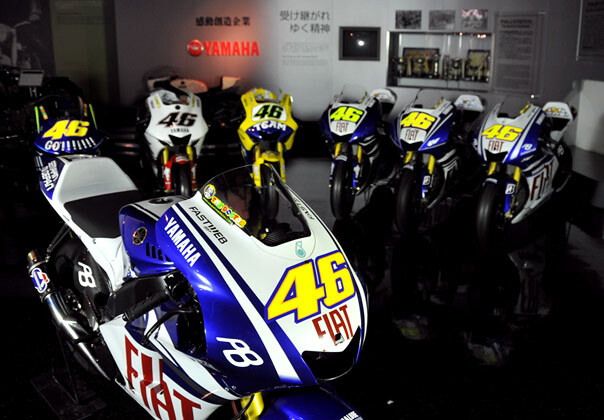 A machine plagued with "chattering"
Ideally, the 2006 machine should have been an improvement on the 2005 model, but it became a machine plagued with a "chattering" problem, as Valentino pointed out. In 2004, development efforts had focused on improving engine power development, while in 2005 we worked mainly on the chassis. In 2006 our focus was on reviewing and improving the EMS (Electronic Control System). The chattering problem emerged because the rigidity balance of the chassis had been lost in the process. We spent half the season working on this problem. In the meantime, we had fallen far behind in the title race and appeared to have lost the chance for another consecutive title. Going into the season opener, the 2006 model seemed to be performing well. When the racing started, however, he had a hard time keeping up with the competition. All in all it was a very tough season for Yamaha.